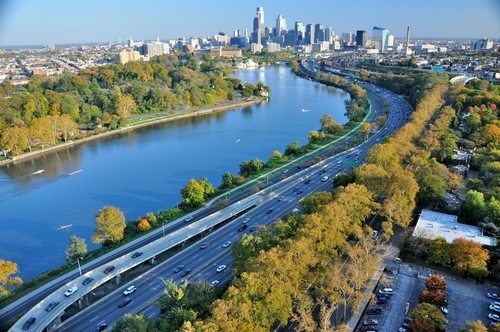 The City of Brotherly Love may be the next major city to enact a comprehensive regime of taxation of otherwise tax-exempt property owners. Historically, Philadelphia hasn’t been aggressive in negotiating payments in lieu of taxes with its bevy of universities and hospitals, but City Council members Blondell Reynolds Brown and Bill Green want the city to get more out of its nonprofits. This spring, the Council will hold hearings on whether, how, and what to exact from tax-exempt property owners. The Council will be able to ride the emotions of property owners in some neighborhoods slated for large increases in their property tax bills due to Mayor Michael Nutter’s reform of the city’s real estate tax structure. Green’s analysis is that this could generate “tens of millions of dollars” for the city budget. If so, that would put it on a playing field accompanied by the likes of Boston, the nation’s largest recipient of PILOTS, which collected $19.4 million from tax-exempt property owners last year (amounting to 0.58 percent of the city’s budget). In Philadelphia, the motivation for PILOTs may be as much about politics as it is about finances. Zack Stalberg from the government watchdog group the Committee of Seventy delivered a comment that reflects the political tenor of the times: “At a time when the city is looking in every dark corner it can for money, it’s not a crazy thing to be talking about,” Stalberg told the Philadelphia Inquirer. “To some degree, it’s emotionally a potent issue because people notice that most of the cranes around town are working on buildings at the big hospitals and universities.” The political sensitivity of the issue is also reflected in the city’s failure to provide the Inquirer with a list of the voluntary payments it received from tax-exempt organizations in 2012. A voluntary payment program negotiated under former Mayor Ed Rendell expired some time ago, leaving only a few tax-exempt property owners to continue making payments on their own volition.